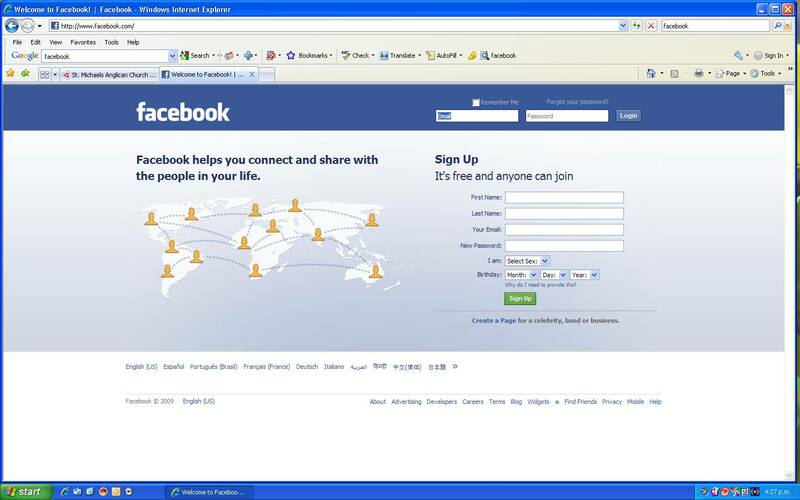 Home » Blogging Tips » How to add Facebook Like Button to your Blog? Just imagine how cool it will be if you are able to use the Facebook’s “Like” button in other sites? Yes that option is possible now and you can make use of that in your very own blog page. Do you know how to add Facebook Like Button to your blog. Here are the simple steps i have given for you. Nowadays, social networking sites are the easiest way to get traffic to your website or blogs provided the blog has genuine and positive contents. It is best platform to attract more people to your blog thus making it successful. Obviously, the popular social network Facebook allows you to add “Like” button to your blog by just by placing Facebook’s “Like” code in the Blog or web page. Thus, when a user clicks the “Like” button for a particular content, the content appears in the news feed of that user’s friends. As a result of this, whenever a user “Likes” your page or blog content or article, your link is shown to all of his friends which in turn may help your article to go viral via Facebook if it really has worthy contents.Moreover, Facebook’s “Like” button which allows the user to like a piece of content or the whole article is very popular nowadays. This button makes the user more enthusiastic by easily allowing them to share their favorite article or content they would have come across the web. It also allows them to share their opinion and comments about the article. Isn’t really a good way to attract more traffic to your blog? So let’s see the steps of adding the Like button to your own blog page that is created using Blogger.com. Log in to Facebook and go to “Facebook Developers” page. Select the Action type as “Like” button since you wish to place that on your page. Fill “URL to Like” with the URL of your blogspot’s page.Uncheck the Send button.Click on Get code now. You will get a code like below in four categories like HTML, XFBML, IFRAME and URL. Similarly you will be getting a code for URL tab. Copy the URL tab’s code. 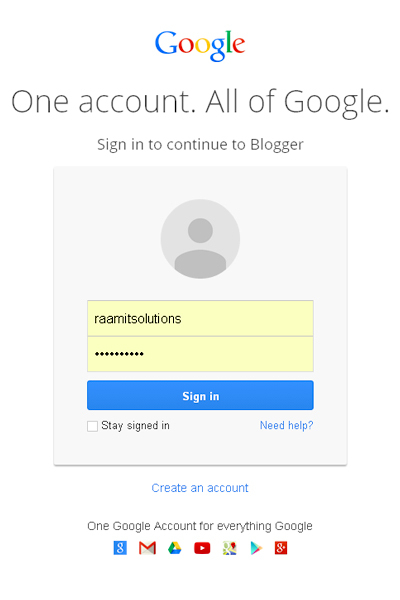 The next step is entering into the Blogger.com. This step will be easier for those who know about basic HTML whereas it may be little difficult for others. 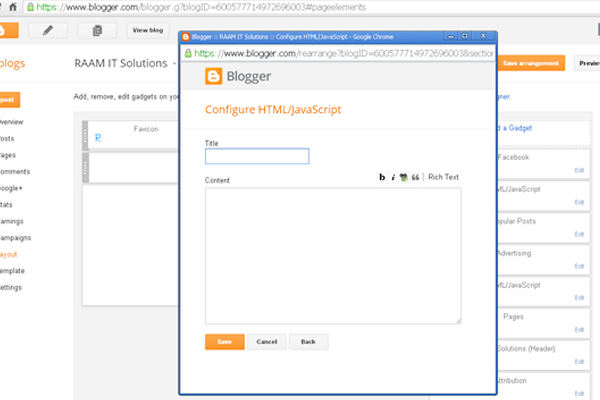 Go to your Blogger dashboard, and Click on Template, edit HTML and Click on “Expand Widget Templates”. Finished the task and now you can find the Facebook’s “Like “button in your blog. Thus, adding a Facebook “Like” button is not a tedious task and can be done easily if we follow the above steps. Besides the “Like” button Facebook also offers other sets of widgets called social plug-ins that you can drag and drop it on your web page or blog and attract more traffic through Facebook. Thus, making your page more lively and established. Buttons like “Recommendations” shows that what other pages people’s friend are reading, an Activity stream widget shows the simplified form of visitors Facebook page. On the whole, those who really wish to shine in the blogging field should strongly consider implementing the Facebook’s “Like” button into their sites. These buttons not only promote your content but also helps you to know how many people really enjoyed your content. When the number is higher you come to know that your content has started shining among hundreds of people. Thus, Facebook will help you to start making money if you really have worthy content. Glad you like this post. Better you can Subscribe Here to get all latest updates from classiblogger. This is really cool and simple way to add facebook like button to blog. Adding Facebook Like button is important to every blog. This is one of the way to show that, how our blog is reached to our readers and also to develop fan base. Glad you found my post useful. Anyway thanks for dropping your comment. Keep coming and share your ideas. Sweet and simple article about adding like button to the blog. Thanks Nirmal. Nice Post and nicely explained. This is a great information for those who are running blog and want to help readers to share their content with friends. Keep posting such a great articles. Welcome to my blog. It’s great to see you here. For every blogger’s blog, they need facebook page to promote their content. I explained in simple steps to understand even by newbie bloggers. Glad you like this post. Keep coming and thanks for dropping your comment here. You have written a great article.the article is really nice and interesting to read. Thanks for your appreciation and stopping by. Keep coming and share your thoughts. My WordPress template: Newspaper WordPress Theme, already support for this, just copy the Facebook fanpage URL and paste into the widget. All is done. Glad you like this post. Thanks for stopping by. Keep coming. Thanks a lot Mr. Raaja Anandhan for sharing this important and supportive post . Adding Facebook likes button is really helpful for improving social media promotion and social signals from our blog posts also. Thanks for guide. Till now I was using plugin for fb button but now I will use this iframe code. Thanks for this tutorial.